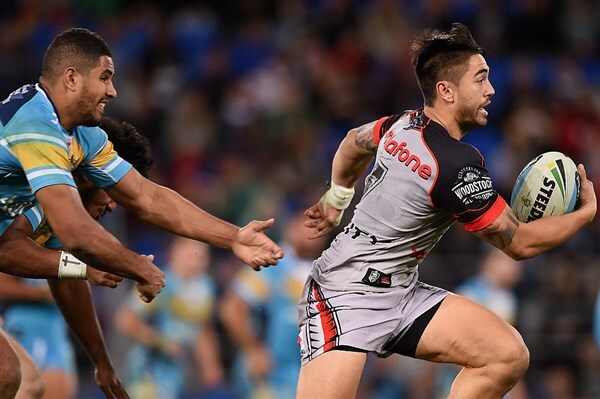 As we head into the Rd 17 clash vs the Gold Coast Titans, Flash Back Friday this week takes a look back to 2014 where the Warriors faced off against the Titans in their Rd 25 clash at Skilled Stadium on the Gold Coast. With a top 8 spot within reach for the Warriors and the Titans only playing for pride, the NZ based outfit came out with all guns blazing. It took only 3 minutes for a slick back line move to open up the Titans defense, with SJ giving a beautiful pass to Ben Henry who ran straight through an open hole and crashed over for the opening try. 5 minutes later the Warriors went to the left hand side and this time it was Tommy Leuluai putting the man into the hole with a perfect pass. Peyroux crashed over to score the try and the Warriors led 12-0. Playing against his former team mates, Nathan Friend took advantage of some sloppy marker defense as he ran through a huge hole to score to the right of the posts. 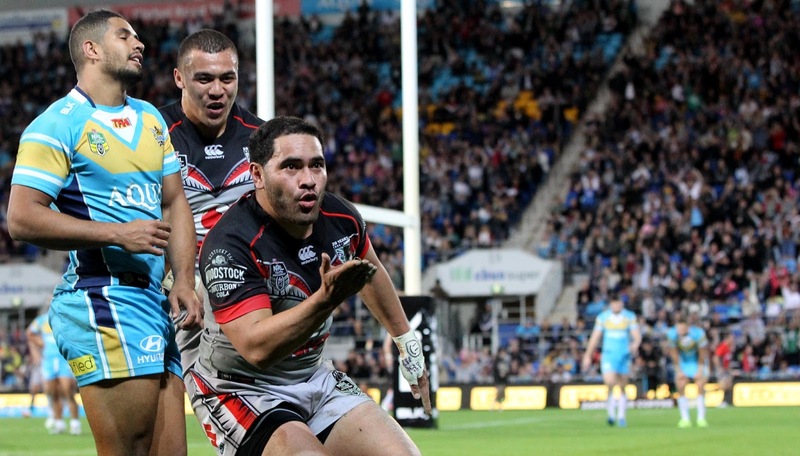 The conversion gave the Warriors an 18 point lead after only 16 minutes. The 4th try came in the 33rd minute and was almost identical to the back-line move the Warriors put on for their opening try. This time the beneficiary was Sam Tomkins who crashed over for his 12th try of the season to give the Warriors an impressive 24-0 lead after only 33 minutes. Tomkins was again involved in the Warriors 5th try of the first half as he gave the final pass to a rampaging Konrad Hurrell to run straight through some lazy Titans defense almost untouched to give the home side an impressive 30-0 half time scoreline. With the breeze now at their backs, it took only 5 minutes for the Warriors to cross the line again thanks to a perfectly weighted cross field bomb from Shaun Johnson that was taken superbly by Sam Tomkins to claim his second try in what was proving to be a very impressive display from the highly criticised Englishman. The Warriors 6th try of the match extended their lead to 36-0. Only minutes later, the Titans flood gates were well and truly opened which allowed SJ to produce one of his many magical moments and add to his already impressive highlights reel as he slid straight through would be tacklers, skipping past another couple of defenders before putting the foot down to sprint around the outside of the Titans #1 to score a brilliant solo try. The 7th try of the match for the home side gave them a 42-0 lead with 30 minutes still remaining on the clock. The Titans managed to show some pride in their jersey during the last 30 minutes of the game, combined with the Warriors taking the foot of the gas with the win beyond doubt. A disallowed try to Sam Tomkins for double movement and a Titans disallowed try for a foot in touch were the only other try scoring options in the last 30 minutes of the game.